Tom Cruise the thrill seeker and death defier is back. When you have a film star so willing to put his body and health on the line, you can build the most visceral action film imaginable. The latest edition of the Mission Impossible franchise takes full advantage of this opportunity. Every action scene in the film, and these make up almost the entirety of the effort are up close and personal with Mister Cruise.The effect is almost dizzying. The action is so relentless and in your face, you marvel at the fifty-six year old’s athleticism and energy. His acting chops are little used here as there in very little storyline to hold it all together. What exposition there is revolves around saving the world from nuclear terrorist attacks and rouge ex-secret agents. There are a few twists that are easy to see through and some fairly transparent bad guys but his does little to dampen the fun. The entertainment value comes from the unbelievable action and minimum use of computer generated imagery. 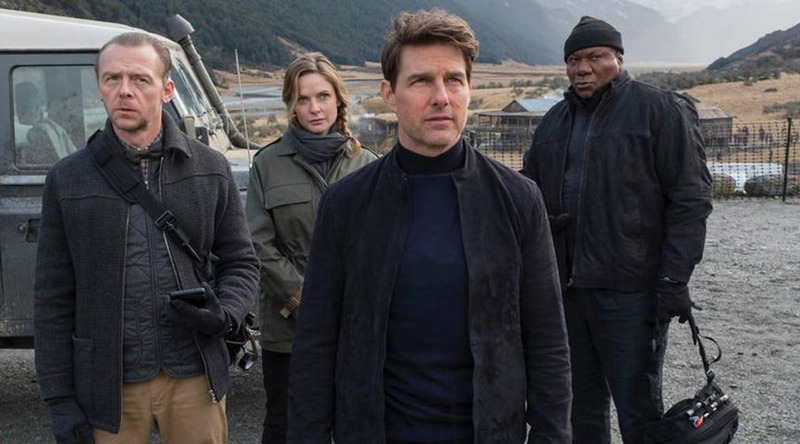 Some of Tom Cruise’s films appeal to the mind, this latest edition of Mission Impossible will appeal to those with an extravagant sense of adventure. The stunts are huge and obviously dangerous and there is little to get in the way of this scenario as the film launches from amazing action piece to an even more amazing action piece. The pace is relentless.